Margaritaville Lake Resort provides a one-of-a-kind, relaxing and comfortable environment for your next family reunion, meeting or corporate event. 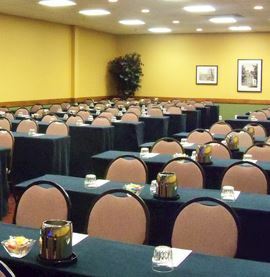 Our meeting facilities and conference services are set to the back drop of one of the most beautiful lakes in Missouri. Make any occasion or group meeting a success. Group meetings and functions can be designed for your individual requirements. Need a fun ice-breaker, themed cocktail hour, teambuilding exercises, or something a bit more challenging? Our on-site sales team will customize exciting and engaging activities to fit your needs and budget. Host casual gatherings at one of our many scenic outdoor venues. 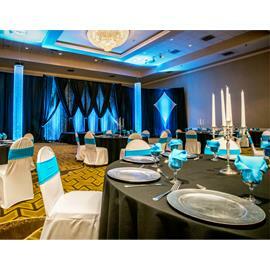 Treat your attendees to something special with an outdoor cocktail reception or barbecue overlooking scenic Lake of the Ozarks. And bring everyone closer together with teambuilding activities, including golf tournaments or a 5k run. 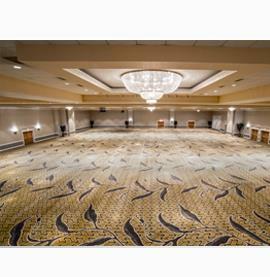 Choose from two ballrooms and two large conference halls, ideal for everything from festive soirees to exciting trade events.